Wishing I was in Cuzco . . . | A balanced diet . . .
Wishing I was in Cuzco . . . The 10th World Potato Congress takes place in the southern Peruvian city of Cuzco at the end of May this year. I wish I was going. It would be a great opportunity to renew my links with potato research, and revisiting one of Peru’s most iconic cities would be a joy. I like this quotation from the Congress website: Potatoes are the foundation of Andean society. It shaped cultures and gave birth to empires. As the world population explodes and climate change places increased demands on the world’s farmers, this diverse and hearty tuber will play an instrumental role in feeding a hungry planet. 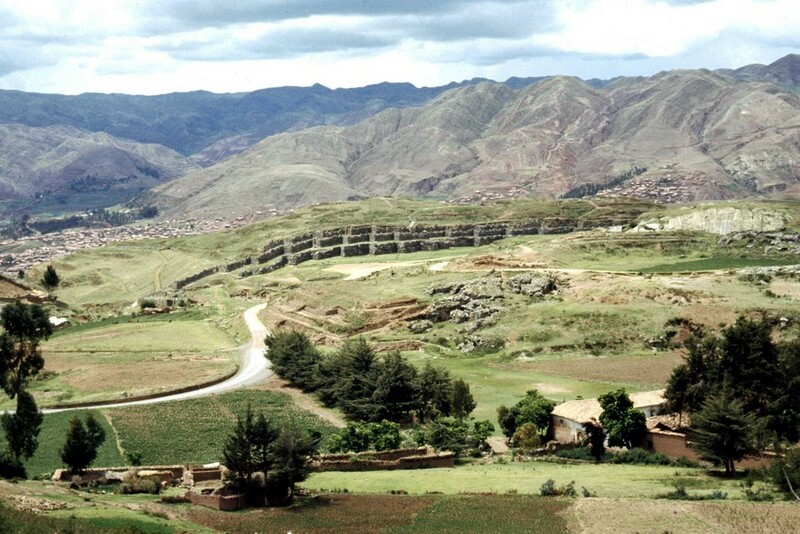 Cuzco lies at the heart of the Andean potato culture. The region around Cuzco, south to Lake Titicaca and into northern Bolivia is where most diversity in potatoes and their wild species relatives has been documented. 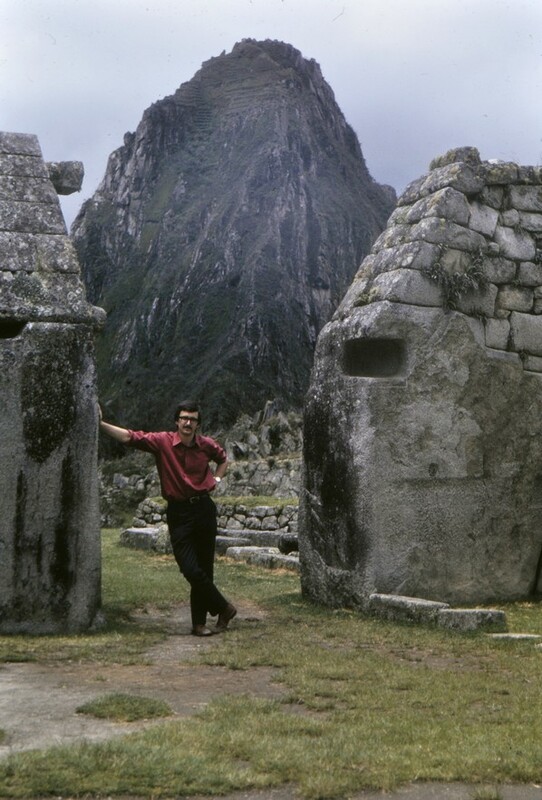 When I worked for the International Potato Center (CIP) in Peru during the early 1970s I had several opportunities of looking for potatoes on the Peruvian side of the border, and made three (possibly four) visits to Cuzco. I see from a quick scrutiny of the street map of Cuzco on Google maps that the city has changed a great deal during the intervening years. That’s hardly surprising, including many fast food outlets dotted around the city. The golden M get everywhere! Also there are many more hotels (some of the highest luxury) in the central part of the city than I encountered 45 years ago. 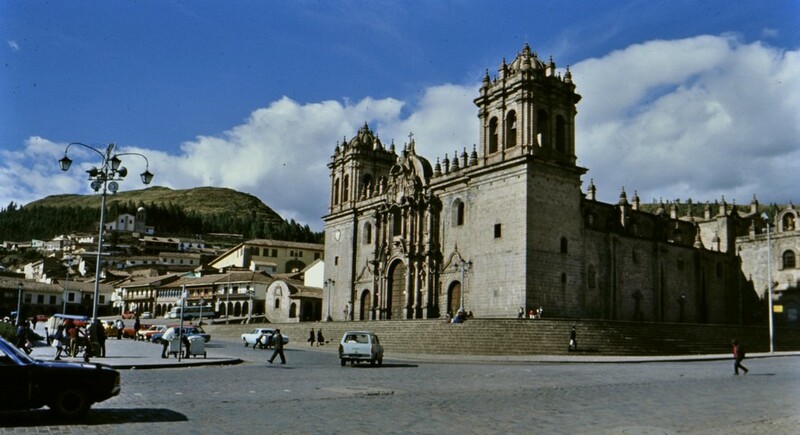 I visited Cuzco for the first time within two weeks of arriving in Peru in January 1973. The participants of a potato germplasm workshop (that I described just a few days ago) spent a few days in Cuzco, and I had the opportunity of taking in some of the incredible sights that the area has to offer, such as Machu Picchu and the fortress of Sacsayhuamán on the hillside outside the city. Steph and I were married in Lima in October 1973, but we delayed our honeymoon until December. And where could there be a more romantic destination than Cuzco, taking in a trip to Machu Picchu (where we stayed overnight at the turista hotel right beside the ruins), Sacsayhuamán, the Sacred Valley, and the Sunday market at Pisac. In the early 70s, the Peruvian airline Faucett flew Boeing 727s into Cuzco. In January 1973 I’d only ever flown three times: in 1966 to the Outer Hebrides in Scotland on a BEA Viscount turboprop; from London to Istanbul on Turkish Airlines to attend a scientific meeting in Izmir; and the intercontinental flight from London to Lima with BOAC. Flying into Cuzco was (is) quite an experience. There’s only one way in, and out! It is quite awesome (if not a little unnerving) dropping through the cloud cover, knowing that some of the highest mountains in the world are just below, then seeing the landscape open as you emerge from the clouds, banking hard to the left and follow the valley, landing at Cuzco from the east. The city has now expanded eastwards beyond the airport, but in 1973 it was more or less at the city limits. The main part of the city lies at the western end of the runway, and hills rise quite steeply just beyond, thus the single direction for landing and the reverse for take-off. Maybe with new, and more highly powered aircraft, it’s now possible to take off to the west. Those attending the World Potato Congress should have a delightful trip from the coast. By the end of May the dry season should be well-established, and the skies clear. So, what is so special about Cuzco? It’s a city steeped in history, with Spanish colonial buildings blending into, and even constructed on top of the Inca architecture. That architecture leaves one full of wonder, trying to imagine how the stones were brought to the various sites, and sculpted to fit so snugly. Perhaps the best example is the twelve-sided (or angled) stone in the street named Hatun Rumiyoc (a couple of blocks east of the Plaza de Armas). This is taken to an even greater level at Sacsayhuamán, with an enormous eleven-sided stone. My first impressions of Cuzco were the orange-tiled roofs of most buildings in the city. All streets eventually lead to the main square, the Plaza de Armas in the city center, dominated on its eastern side by the Cathedral Basilica of the Assumption of the Virgin, and on its southern side by the late 16th century Templo de la Compañía de Jesús (a Jesuit church). One of the finest examples of the Inca-Colonial mixed architecture is the Coricancha temple upon which was constructed the Convent of Santo Domingo. The Incan stonework is exquisite (although showing some earthquake damage), and inside 16th/17 century paintings have survived for centuries. Another aspect of Cuzco’s architectural heritage that caught our attention were the balconies adorning many (if not most) buildings on every street, at least towards the city center. In the early 1970s steam locomotives were still in operation around Cuzco and, being somewhat of a steam buff, I had to take the opportunity of wandering around the locomotive shed. During our trip to Machu Picchu, our tourist diesel-powered train actually crossed with another pulled by a steam locomotive. Outside the city, to the north lies the Inca fortress citadel of Sacsayhuamán, the park covering an area of more than 3000 hectares. Steph and I spent a morning exploring the fortress, viewing it from many different angles, and pondering just how a workforce (probably slave labour) came to construct this impressive site, with its huge stones so closely sculpted against each other that it’s impossible to insert the blade of a knife. Among the most commonly visited locations by many tourists is the small town of Pisac, some 35 km from northeast of Cuzco at the head of the Sacred Valley, where a vibrant market is held each Sunday. We took a taxi there, and joined quite a small group of other tourists to wander around, bargain for various items (including an alpaca skin rug that we still had until just a couple of years ago). This is not a tourist market, however—or at least it wasn’t in December 1973 when we visited. As you can see in the slideshow below, it was very much a place and occasion frequented by people coming from the surrounding communities to sell their produce, and meet up with family and friends. Whenever I look at these photographs I always feel quite sad, as it’s likely that many who appear have since passed away. It’s no wonder that Cuzco and surrounding areas have been afforded UNESCO World Heritage status (as so many other treasures in this wonderful country). So, as I think about the opportunities that potato scientists from all around the world will enjoy when they visit Cuzco at the end of May, I can’t help but feel a tinge of envy. However, they’d better take advantage of the odd cup of coca tea, or maté de coca, if offered. An infusion of coca leaves (yes, that coca! ), it really does help mitigate the effects of high altitude and the onset of so-called ‘altitude sickness’. This entry was posted in CIP, Musings from the past, Out and about and tagged CIP, Cusco, indigenous civilizations, Peru, Pisac, potato, Sacsayhuaman, South America, travel.